Yup. Seriously, Zuko can't be Zuko without the scar. Zutarafan101 wrote: Hopefully. Seriously, he wasn't funny at all. Way to serious. The way I think of this entire movie, it will be the LAST Airbender. The recent Batman movies are so dark and convoluted that I can't even enjoy them. But if i were a fan, I would give you a high-five for good use of the "Why so serious" bit. On a different note, I would like to see the sequel to the The Last Airbander. I'm more curious than excited though. Hopefully it will be just a bit better than the first one. Are they even making a second one? Because the first one got some pretty bad reviews. silverlily wrote: The recent Batman movies are so dark and convoluted that I can't even enjoy them. But if i were a fan, I would give you a high-five for good use of the "Why so serious" bit. I actually am of the same mindset. 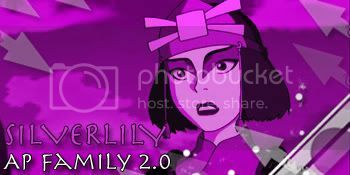 While TLA was indeed a disappointment, if they were to make a sequel, I'd still go see it. Book Two is my favorite season of the show and I'm pretty sure M.Night would not be directing it. While the movie was a financial success though, I just think the reviews of it were too bad for another sequel blockbuster to blossom out of Hollywood. That's what I meant. The reviews were bad, so they probably won't make another one. zukofan1213 wrote: I hate the fact that avatar merch that you can get is from the movie one thing i hate hot topic for. is there anywhere you can get the actual merch from the show? http://shutupandview.tumblr.com/ < go there do it now! 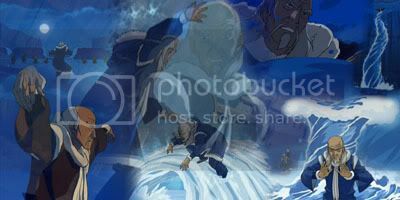 I hope there is some way that they can redo this first one and make it actually resemble the ATLA series. Hopefully M. Shamalamia doesn't direct the next ones. Maybe a different director will actually get it right. I wonder what's going on with the next movie. I haven't heard anything about it. Well, I guess that means that some serious changes are being made. silverlily wrote: I wonder what's going on with the next movie. I haven't heard anything about it. Well, I guess that means that some serious changes are being made. I hope so, if they weren't getting it right. I know it was just a movie but because of my passion for the amazing show, this movie was one of the biggest disappointments I've experienced in life lol. I mean a couple of the soundtracks were nice and a couple of the airbending and waterbending moves were cool to see in live action but that's as generous as I can be with that movie. Hopefully, there's a new director. There would just have to be A LOT of big changes if the second movie were to redeem itself. I TOTALLY agree with you. I don't think it will even be possible for the second movie to redeem itself. Unless a miracle happens. The second movie will most likely be directed by M.Night due to him writing the movie himself and him stating that he will be directing it if paramount goes through with a sequel. It got crappy reviews. I doubt they'll even make a sequel, especially if M. Night is directing it. After watching the bonus DVD for the Book 3 Collection, its just so sad how people actually had hopes for this movie. See everyone in the 2007 Comicon cheering this guy and just thinking "in 3 years you'll want to murder him." Just how the heck did the creators let him make such a horrifyingly bad movie? Did they see nothing of what he was doing? I would be surprised if they could convince anyone to support a new movie. What is wrong with people like this director? How they can watch a series and butcher it this badly is beyond me. Well flareknight, what it comes down to is money. That's all production companies care about nowadays. They want to maximize their profit as much as possible. So for instance, things like the Kyoshi Warriors got cut out because Paramount was convinced kids don't have an attention span that lasts for more than 90 minutes when in actuality, most of ATLA's fandom aren't the original intended demographic of 12 year old boys. Their thought process is if the movie was longer, people would get bored, word of mouth would spread, and bye bye money. However, TLA actually was pretty financially successful. It was just a critical bomb (meaning it got bad reviews everywhere). I'm sure another movie won't happen for a long time because Viacom realizes the cash lies within Korra rather than another potential ATLA movie. Case in point: the Korra Nation game that just came out. Viacom knows the animation is a safer route because everyone loves the cartoon and the ratings ATLA brought Nick at the time were plain insane. But the answer to your original question is as I said, money. The creators didn't have much to do with the movie because their job is making cartoons, not a blockbuster with M.Night. They'll never admit it, but I don't think there's any remote possibility that they genuinely loved TLA as a movie. If I were the creators, I would feel like M.Night spit in my face. That would be a wildly unfair position to take towards M Night if you were a creator, Jon. We all love to hate on M Night, but honestly, M Night did not intentionally make the movie horrible. He wasn't trying to throw it in the trash. It really is a terrible exaggeration to take it as a spit in the face because that implies intentionality and aggressiveness. M Night really thought he was making a great movie. And, as you mentioned, many of the biggest problems with the movie were decisions that were NOT made by M Night. That was Viacom. We all know that Viacom has never respected ATLA and only ever thinks about money. If anyone spat in Bryke's face, it was Viacom, but that's nothing new to the franchise. You know the first attraction I ever built when I came down south from Scotland? It was a Flea Circus, Petticoat Lane. Really quite wonderful. We had a wee trapeze, and ah, a merry-go - -a carousel - - and a seesaw. They all moved, motorized of course, but people would swear they could see the fleas. "I see the fleas, mummy! Can't you see the fleas?" Clown fleas, high wire fleas, fleas on parade... But with this place, I wanted to show them something that wasn't an illusion, something that was real, something they could see and touch. An aim not devoid of merit. Here's the clip from after that. I think it captures the attitude of M Night and the fanbase if you change some words around. But you can't think through this one,John M Night. Hiring Nedry (pick your favorite TLA flaw) ...was a mistake. That's obvious. We're overdependent on automation Viacom (or possibly other things). I can see that now. Now, the next time, everything's correctable. Creation... is an act of sheer will. Next time, it'll be flawless. You've never had control. That's the illusion! I was overwhelmed by the power of this place show/voodoo/etc! But I made a mistake too. I didn't have enough respect for that power bought a movie ticket and it's out now. are the people characters we love. Alan Aang and Lex Katara and Tim Sokka. John M Night, they're out there where people critics are dying trolling. It's good The effects were nice. If M Night wants to make another movie at this point, I suspect it is out of a desire to redeem himself. While I can empathize with his sentiment, I think it's best if he left well enough alone. Pleh wrote: That would be a wildly unfair position to take towards M Night if you were a creator, Jon. That's a good point, but however when you bill yourself on a movie as producer, writer, and director, you would think if you were the director that really cared about the movie and making it good for the fans (since M.Night's original stance was he wanted to make this for his daughters who are avid fans of the show), that there comes a point where you step in and put your foot down on certain things. I know you know what a producer's job is, but after seeing the final cut of the movie and the implications Viacom was behind a majority of it, I honestly wonder why M.Night was credited as the producer. Perhaps saying it was a spit in the face is a bit harsh, but it's not just Viacom who messed up the movie. Some of it was indeed M.Night. I mean come on, did we really need the scene with Zhao and Ozai in the Fire Nation (aka a scene that never happened in the show)? Or the super close-ups that showcased young Oong's facial pores? I'm just saying if I was Bryke, I'd probably do what they're doing and distance myself from it as far as possible since it was missing many vital things that make ATLA...well ATLA.